Joey Richter is an American actor who was born on July 31, 1989. Joey Richter has a credit for the movie Khumba (2013). On Spotify, Joey Richter has a limited audience with only around 600 followers and a popularity score of 38 out of 100 as of 2018. His most popular track on Spotify is "Just a Taste" from the album Firebringer (Original Cast Recording). There is only one movie featuring Joey Richter as of 2018. 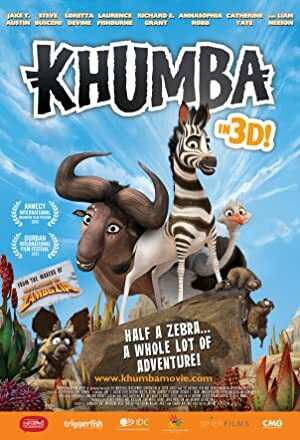 Khumba is the only recent movie featuring Joey Richter. Joey Richter played Themba in Khumba, released in 2013. As of 2018, Joey Richter has 600 followers and a popularity score of 38 on Spotify. Firebringer (Original Cast Recording) and Spies Are Forever (Original Cast Recording) are some of the more popular Joey Richter albums. Notable tracks from these albums include Just a Taste, Just a Taste, and Somebody's Gotta Do It. Just a Taste is Joey Richter's most popular track, scoring 36 out of 100 on the popularity scale. Just a Taste and Somebody's Gotta Do It have popularity scores of 36 and 35, respectively. The Spotify popularity score is on a scale from 0 to 100 and reflects the number of times the song has been played and how recently it has been played.